Baking paint craft, retro and creative design,Simple style, lighting and decoration is the perfect choice, great decoration for your home. 1-lamp size: 40cm/15.74in*17cm/6.69in; 3-lamp size:50cm/19.68in*25cm/9.84in. Fits for 1,3*E27 40 watts, Voltage: 110V – 220V bulbs. Easy to install, comfortable to use. 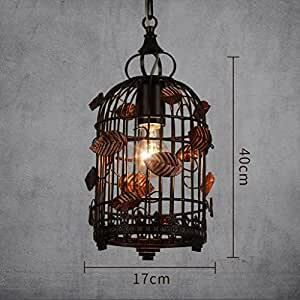 If you have any problem about this Pendant Light, just contact us to refund or return, you can rest assured that your investment is protected.